Content Marketing That Rocks – Are You Amplified? Coming up in about 5 weeks is one of the most anticipated marketing conferences about the hottest topic of the year: Content Marketing World. With 91% of BtoB marketers investing in content marketing, there’s no question that the value of content is in the marketing spotlight. While this year has proven content is front and center of annual marketing plans, there’s also been an incredible rise in noise about what content marketing is and how it can work. Lucky for you, me, and thousands of other creative, smart and results-focused marketing professionals, Content Marketing World provides an entire conference dedicated to all aspects of the topic from BtoB & BtoC, Content Strategy, Search & Social, Content Creation, Multi-Channel Content, Content Integration, Social Media and Content Discovery. Besides the main conference, there are also pre-conference workshops and post conference summits covering Health, Technology, Small Business, Manufacturing and Financial industries. Over the next few days we’ll be publishing this year’s Content Marketing World eBook featuring 36 marketing pros, many of them “rock stars”. Since #CMWorld (official hashtag) is in the home city of the Rock and Roll Hall of Fame, there’s no more fitting of a theme for this year’s eBook than Rock and Roll. 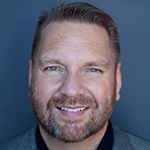 The man currently on fire with Youtility, Jay Baer will rock the house with a keynote presentation during the main conference. Of course there are also highly shareable quotes from content marketing pros like Robert Rose throughout. The content marketing brilliance of Amanda Maksymiw from Lattice Engines (a TopRank client) will also be available for Technology Summit attendees. There is no doubt, Amanda’s content marketing smarts will rock your world. These and many more practitioners have generously shared their secrets to content marketing rockstardom. Hey, I think I just made up a word! All offer their hit-making content formulas too. The tip I contributed is about the need for great content that readers will love but to also plan for amplification. “Amplify Your Story” is a big theme for this year’s #CMWorld and rightly so. Companies have become a lot more comfortable with content creation, but many are at a loss on how to scale content amplification. What good is an investment in great content if no one reads it? 1. Identify themes first, then select thought leader participants that best align personally, and via their networks, with the key messages in the eBook and the audiences they are intended for. This alignment will be meaningful for participant incentives to help promote the content object. Make sure the content you’re co-creating is truly awesome and people will be motivated to be a part of it. And share. 2. Design the eBook to be modular so that individual components of the eBook can be deconstructed and promoted as individual content objects. For example: the quotes from this eBook will be seen on Google+, Pinterest and Facebook. The profile pages will be promoted on Flickr and Pinterest. Customized versions of profile photos not found in the eBook will be shared as well. Tips will be re-purposed according to common themes as blog posts. Sections of the eBook can be combined with industry statistics from Content Marketing Institute and MarketingProfs studies to create a conference infographic. There’s so much more, but you get the idea. 3. Create promotion assets that participants can use to to promote the content object. Pre-written tweets and social shares with shortened URLs can be very convenient, even to someone like myself who tweets many times a day. Create custom visual assets as well to be used in blog posts or socially shared on more visual-oriented social networks. 4. Reach out to relevant Twitter lists, Google+ circles, LinkedIn groups and Facebook pages by asking questions that draw attention to the content object. “We’ve listed 36 of the top content marketers, who would you include?” That sort of thing. Do not just promote! Reach out to bloggers a week or two before and then again a few days before launch. Reach out to trade journalists and monitor HARO and other “ed cals” resources for story opportunities where your content asset can be a resource. 5. Run social ads targeting prospective readers and influencers. Sponsor emails or send out promotional emails yourself. Use ads to run a contest where participants compete by creating tweets or other social shares and even blog posts where they share their own tips. Winner(s) get included in the eBook. I could go on and on about this event since I’ve been digging into the details of every speaker and every session as we’ve put together this eBook. Obviously I’m pretty enthusiastic about this event because it’s so on topic for what we do and what companies are in dire need of help with. Besides #CMWorld singing the right tune, TopRank is a major media sponsor for #CMWorld, so you can count on some great liveblog coverage during the event which occurs Sept 9-12, 2013. Besides all of this musical themed magnificence, I’ll be kicking off the Search and Social track on the first day with a presentation on The Future of Content on the Search and Social Web. What strategies, models and even tactics should marketers be aware of as they plan for 2014 and beyond? That’s what I’ll be rocking my presentation on. Since William Shatner will be one of the keynotes (yes, you read that right) I’ll have to find a way to incorporate Star Trek into my Future of Content presentation. Now THAT will rock. I hope to see you there! Be sure to come back to Online Marketing Blog for the release of this killer eBook next week. The last one, “Content Marketing Secrets” has had well over 80,000 views on Slideshare, was cited as one of the best marketing eBooks of 2013 by numerous sites, and was downloaded by thousands of people. It’s a great resource as well and worth checking out. If you are already registered for Content Marketing World, please say hi in the comments and share a tip on how you “rock” your content marketing. I learned quite a lot from the information provided in this thread. Looking forward to checking out more topics. AWESOME! Designing of the theme holds the key towards driving customers for your content. Social activity will automatically increase due to more traffic resulting into better visibility and greater reach.This is something followed at the social media marketing team at Synechron. Really an insightful post. Very useful methods to follow that can boost the content marketing. Thank you for the amazing post. Thanks Lee. Great post. I can “feel” your excitement about CMWorld! I’m looking forward to it as well. BTW. . .did I miss it?. . .you neglected to mention “Content Curation” in your post. With 75% of marketers indicating that their top 2 content marketing challenges are “creating original content” and “having the time to do it”, curation offers an excellent opportunity for best-in-class marketers to sustain their content marketing strategy. 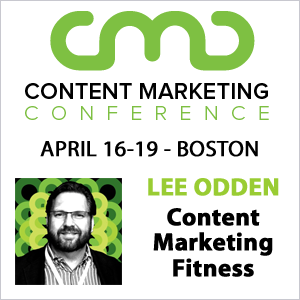 Glad to discuss curation with anyone attending the show since we’ll (Curata) be there showing how leading marketers are using our easy-to-use, business grade content curation software. Looking forward to your ebook and anything you report from the conference, Lee.